BE QUALITY | To Operate Shared Space Smarter. with the latest wi-fi/remote techonology and solution. Automate its operation and increase mobility and flexibility of user expeirnece. We are here to accelerate your business growth. MINIMIZE OPERATIONAL COST AND INCREASE THE VALUE! As long as your phone number is in regions we issue the local PSTN phone number, we can bring in your phone number to our service and free your number from physical restriction. The need of a back office company provides ALL what shared office operation requries was very important for this particular client. Especially their business was growing fast. It's as important for them that a company can keep up with the speed of their growth. We are talking about telecom service, access control, front/back office support, network setups and outsourced support desk. Our telecom service is all done by on-line and on-demand without any initial cost. We also provide network setups and the support desk to support the end user directly. They also installed our smart access control to make all on-site viewing navigation remotely. This allows them to accelerate their business growth. Its been a social movement for companies to adapt satellite office for their employees. This client provides more than one satellite office usage facilities. The problem was they had no way to know the occupancy. As their business grew, they started encountering complaines such as users had no place to sit in spite of going on site and many more high occupancy related issues. In order to solve all the issues, they installed our smart access control solution. Our solution not only solve all the issues, it boosted their business growth. Our solution seamlessy syncs with reservation system. The unique factor is that it allows the user to make reservation per seat. system can also allow you to set variety pricing. So they applied vaterity pricing tariffs per type of seats, time and day. Provding different pricing, they found new user attribute which lead to maximize the revenue. The occupancy improved immensely and now they have more than 30 satellite office within 1 year. What number will it be shown to the transferred telephony device? Caller Phone Number shows who called. However since it is a transferred number, the end user does not know caller called company phone number or directly to the end user phone number. My number is opposite. It shows to the end user where they made called to. So End user device will show your own company number but not caller phone number. This allow the end user to distinguish where the caller made a call to. Using its service as a company phone number, what functions are there for out of business hours or weekend? We have two functions. [the voice mail] & [out of business hour announcement]. In terms of the voicemail, as soon as system receives the voicemail, it will send an email to pre-registered email address. How to listen the voice mail? Can calls be transferred only domestically? How does outbound call works? Technically this service involves 2 call. One, a caller to the server. Two, the server to an opponent. That sounds like a lot of number typing? How can User memorize PW and opponent phone number? Very true, what majority of the end user do is when they registered clients phone numbers to the phonebook, they put its pw & phone number together and register. This makes very easy for them to call. Can one mobile device obtain more than 1 numbers and make outbound call? No. since we set our security based on the end user phone number tie up with PW. One end-user phone number can only be registered/tie up with local number we issue. How many email address can be registered to receive or send Fax? Up to 20 email address can be registered to our system. How quickly can the end user receive or send Fax? The speed is exactly same as how quickly the end-user receive or send email. Fax Server coverts data and send it as soon as data is received. The server process is less than 5 sec. How to send Internet Fax? Put opponent fax number in email Title without dash. Send to unique email address given by the system. Are there any regulation of sending Internet-Fax? Yes. Attached PDF file must be less than 10mb and 10 pages. Out of all the hundreds of secretary services exist in an industry, what differentiate our service from the rest? There are 2 major differences. How quickly will the end user receive the email? As soon as the call ends by our agent. While we take a call on behalf of the end user, we type the message to our browser base CTI system. Once typing is done and press sent, email will go to pre-registered email address. How many email address can be registered? The end user can register 4 email address. Out of service hours, what function can system offer? 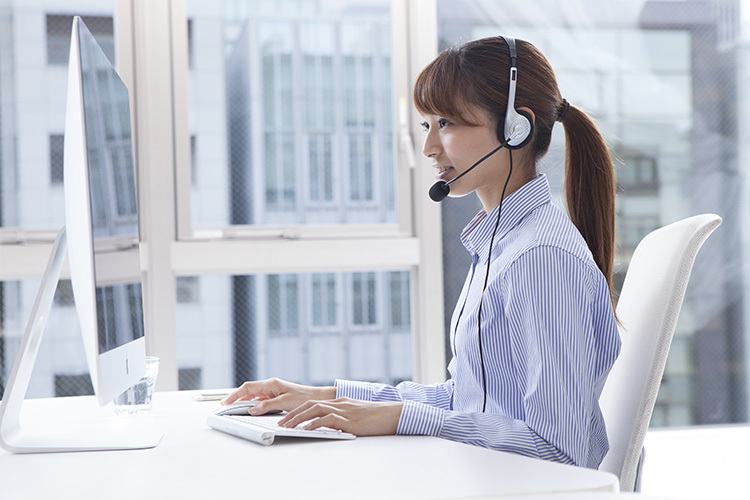 Can the end-user receive call directly during the call secretary service hours? Do you support bilingual / English? At this moment, we only support Japaese. How does Tablet APP which shows company name and extension work? We have online management system where you can manage company name and its extension number. How can the fashionable designed phone set at the reception connect to each room, each co-working user / virtual office user’s mobile phone? We will connect the designed phone (aka analog phone) to Terminal adaptor which converts to IP phone. once it becomes IP phone, our Cloud server does the rest of the setting. Does this mean even logistic companies contact to each user directly? Does this mean, management company can run facility unmanned? We have BeQuality domestic exclusive IP phone called IP542N. It is wi-fi compatible latest device. 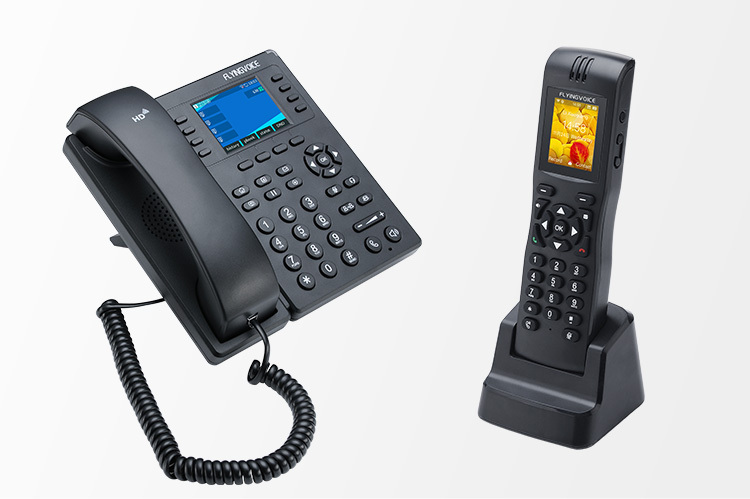 We also provide IP NetPhone SX II which comes in 2 colors, black and white. Can call be transferred when the user is away from the desk? Absolutely, IP service includes Call Transfer & Outbound Call service. Even you are away, we can still receive or make calls. The regions where we can issue the local numbers, we can bring the end user office number to our Cloud PBX IP Network. 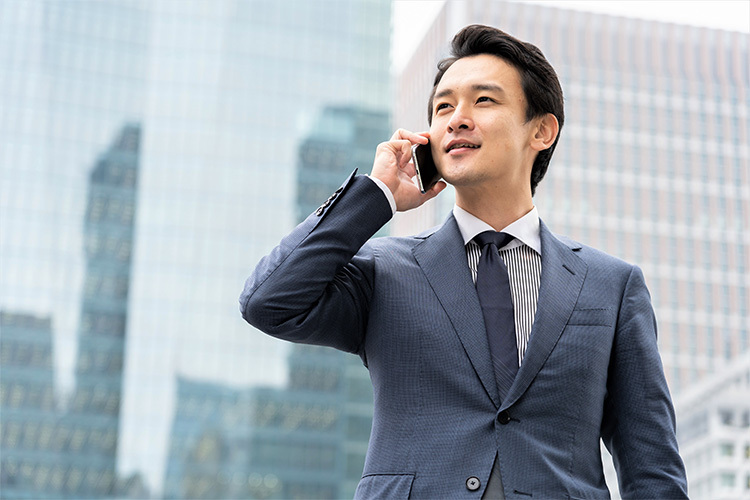 Once number portability is done, physical location is no longer relevant. Any phone number in the region Bequality provide service can be moved? What is management system all about? This is not normal on-line telephony setting interface. Besides all setting change sync with our cloud PBX, it is for PRIVATE BRAND system. Meaning that you apply orders, activate lines, set your tariff on call charge or fee per page if it is Internet Fax and its tariff on reflects on the end user interface. Because of private brand service we provide, its management system as well as domain has neutral name where user cannot trace it back to BeQuality. you can manage per user, per center, per facility, per kind of service. This management system is specialized for shared space industry. If you have any questions please contact us and we can issue you an demo account. Can management company access to printer or any onsite network device remotely so the only time the management company required to be onsite only when potential clients wants to view space or for cleaning? 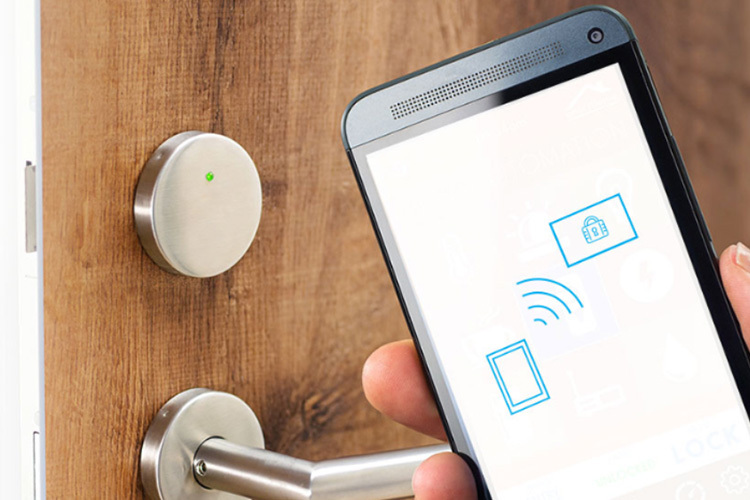 Whether full Wi-Fi or wired, security for the end user be ok? Will you take calls potential customers whom has questions about its facility Network, Telephony related questions? Absolutely. Being able to answer to them on a spot will increase percentage of closing deals dramatically. We will answer all uncertain questions any caller have. What time the business hour of the support center? If trouble shooting requires site visit, will you go? Absolutely, we will go as one of your staffs, if you prefer, please make us our business card on your company name on it, we will support your clients in a professional manner.